Hello everyone, Flor here. I wanted to share my Happy Halloween layout. 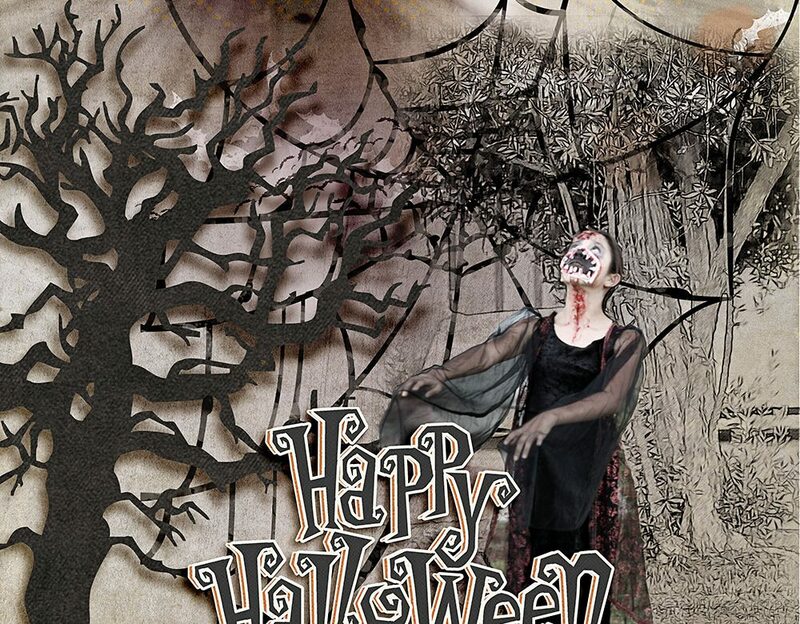 It is Halloween time in the US. 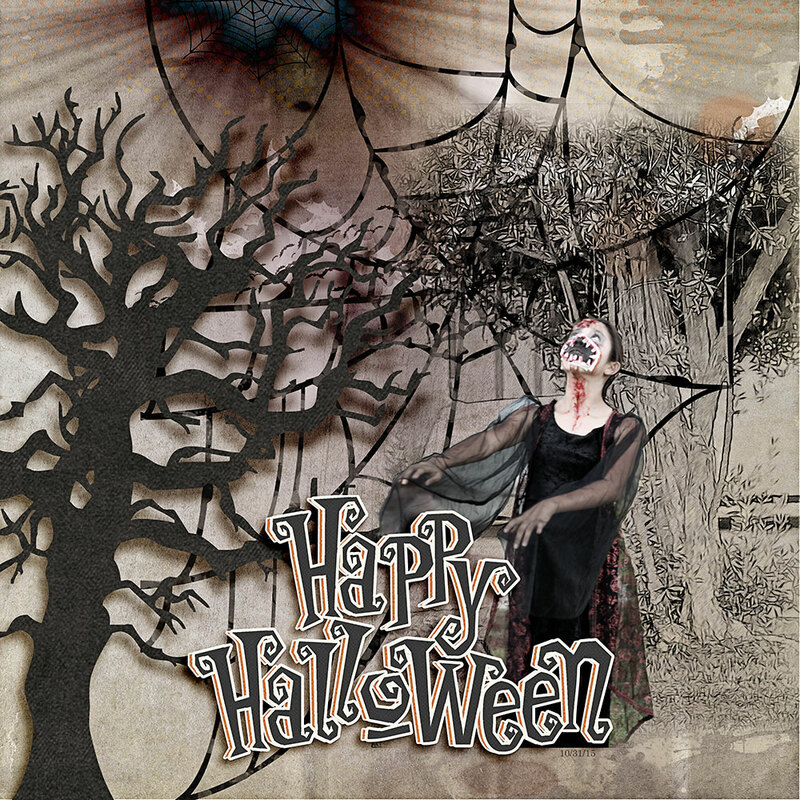 Nicole has an artsy Halloween kit love the dark colors and spooky elements so fun to create a page.